Like a pitcher coming in who exclusively throws straight 75 mph fastballs, you could see the success of FCIAC baseball teams coming this season from a mile away. If the pitch was released when this current crop of players were sophomores, hard contact was made this season as they flourished senior year. To be fair, anyone associated with FCIAC baseball was saying something similar and they were all right. Now, as we sit on the eve of the Class LL state tournament semifinals, FCIAC teams occupy three of the final four spots. Three LL semifinalists are more than anyone could have predicted but validation for the top league in the state this season. No. 7 Staples, No. 11 Ridgefield and No. 20 Danbury are all alive as is St. Joseph in Class M after making a run to the semifinals as the No. 34 seed. One of those teams, Danbury, did not even qualify for the FCIAC playoffs before beginning its run in LL, showing the depth of the league. Meanwhile, the top two teams from the FCIAC regular season, Wilton and Westhill, are not among the remaining clubs only because they were both knocked off by FCIAC foe Staples in the second round and quarterfinals, respectively. Eleven FCIAC teams reached the LL tournament with Stamford losing in a qualifying game, leaving 10 among the final 32. Six of the FCIAC teams were in the lower half of the bracket, including the league’s four best in Westhill, Wilton, Staples and Ridgefield. Wednesday at Municipal Stadium in Waterbury, Staples will face a fourth FCIAC opponent in Ridgefield while Danbury gets tasked with taking on No. 1 Amity, which has won the Class LL title four years running. Incredibly, Amity last lost a state playoff game June 3, 2012 in the LL quarterfinals to Southington. Amity has defeated FCIAC opponents Warde and Staples in the last two championship games and will now have to beat two more FCIAC teams if it hopes to win five straight titles. In this year’s tournament, the Spartans have won by scores of 10-1, 9-2 and 12-0. Amity knocked Danbury out in last year’s second round on the way to the title. The last FCIAC team to win the LL crown was Westhill in 2008. New Canaan won Class L and St. Joe’s won M in 2013. If not for Amity there could have possibly been a LL crown in the years since 2008, but these Spartans are incredible. Can one of the three remaining FCIAC teams do what nobody has been able to accomplish since the current seniors were in seventh grade and defeat Amity in a state tournament game? It will not be easy, but playing in a single-elimination tournament after surviving this season in the FCIAC, anything is possible. It is not an accident that these are the remaining teams. A single-elimination tournament is not the best format for baseball, on that I think we can all agree. But it is the system we have and it does yield a true champion. What the single-elimination tournament is not, is simply random luck as some opponents of the format are fond of saying. These teams are all here because they deserve to be and they have the personnel to win in a tournament like this. Staples and Ridgefield each have more than one excellent pitcher and quality arms coming on in relief. In the games played in the first two rounds, the Tigers and Wreckers allowed one run combined. In the quarterfinals, they each slugged their way to victories. They are playing in the semifinals because they can win both type of games. They are playing in the semifinals because they are very talented baseball teams. Those pitchers who led Staples and Ridgefield in the first two rounds are now mostly lined up to come back and pitch in the last two games. No big deal, just the FCIAC and Connecticut Gatorade Player of the Year Ben Casparius (14 Ks, 3-hits vs Wilton) and All-FCIAC first teamer Chad Knight (9 Ks vs Cheshire) of Staples, All-FCIAC first team pitchers Collin Lowe (10 Ks, 2 hits vs Naugatuck) and Alex Price (13 Ks, 1 hit vs Simsbury) of Ridgefield and FCIAC All-West pitcher Ryan Fitton of Staples. Knight also picked up the win in relief in the quarterfinals over Westhill Saturday, entering the game in the third inning. Because of pitch counts, Knight will not be available until the championship game, should Staples advance. And we are not sleeping on Danbury, just giving Ridgefield and Staples their due as elite teams. The Hatters may lack the superstars of the other two FCIAC teams, though outfielder Brent Jacobellis was first team All-FCIAC and sophomore Javon Hernandez is well on his way to elite status in the coming years, but they play wonderful team baseball. Seven of Danbury’s nine regular season losses were by two runs or fewer and it is playing really good baseball right now. Good enough to beat Amity? We shall see. After Hernandez in the leadoff spot, the Hatters roll out a senior-dominant lineup and have learned how to win under coach Shaun Ratchford. Danbury may be an underdog against mighty Amity, but they will do all the little things trying to win. It is what the Hatters have done winning three straight on the road to the semis including a win over Darien in the opening round. Sacrifice and squeeze bunts, executing fundamentals and solid defense are trademarks of Ratchford teams and this group is no different. 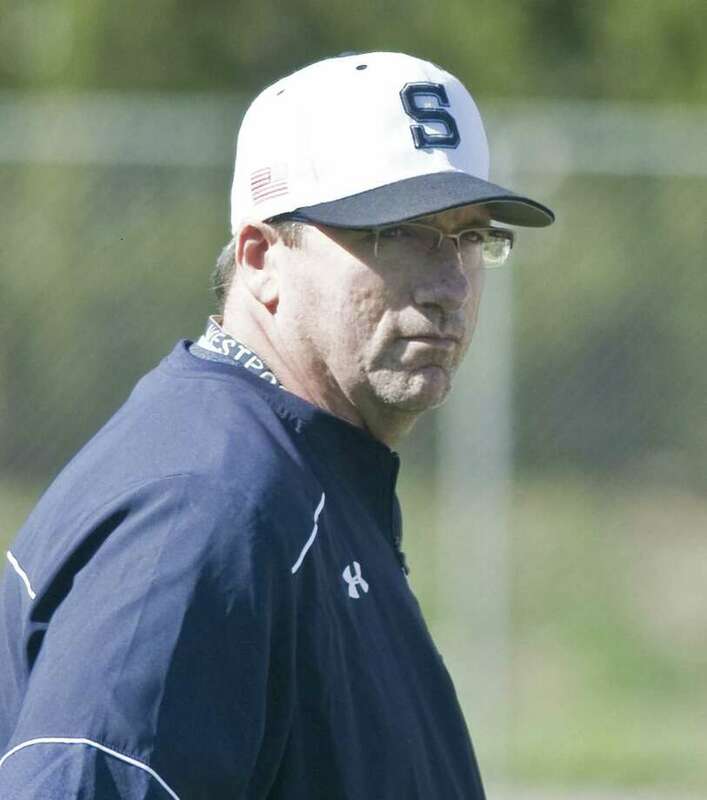 It is the opinion of many in the game that Ratchford is the best coach in the FCIAC. An upset of Amity may alert the rest of the state to that opinion , as well. Even if Amity knocks off two more FCIAC foes, riding off as five-time champions, it will not diminish what the FCIAC has accomplished this spring. It was a golden season in FCIAC baseball and the only thing that would improve upon it would be dogpile on the Palmer Filed mound after winning a state championship.